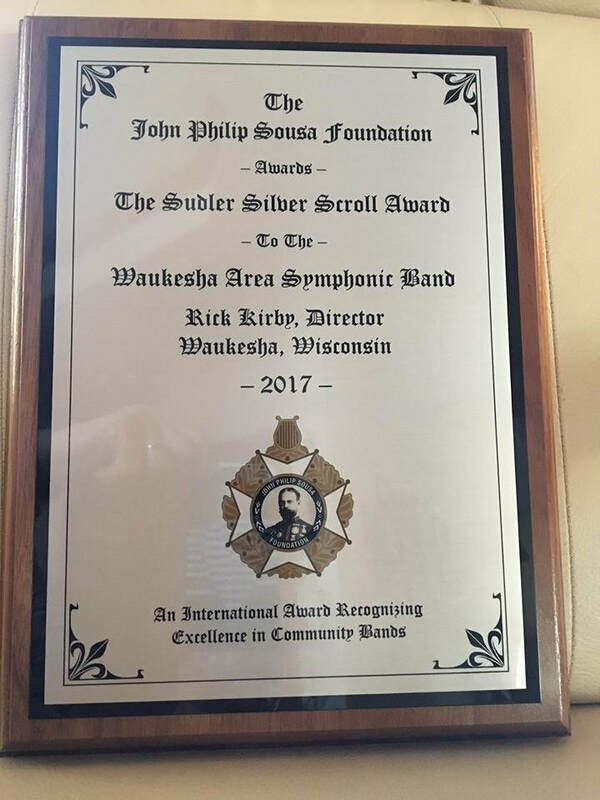 We are very excited and pleased to announce that Waukesha Area Symphonic Band was awarded the prestigious 2017 Sudler Silver Scroll Award by The John Philip Sousa Foundation! 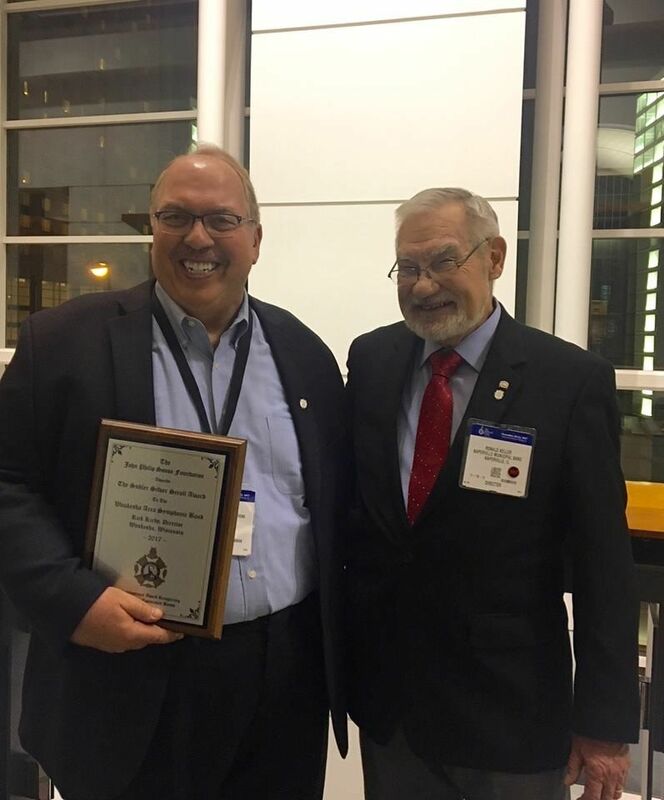 Music Director Rick Kirby accepted the award for the band at the international music convention, Midwest Band and Orchestra Directors Clinic, in Chicago on Friday, December 22, 2017. This award recognizes community bands in North America that consistently perform quality music at a very high level and contribute significantly to the cultural environment of their community. This is a great honor and we are proud to be nationally recognized as an outstanding community band. Congratulations to all past and present band members, former and current music directors and our supportive audiences who all have a big part in this honor.